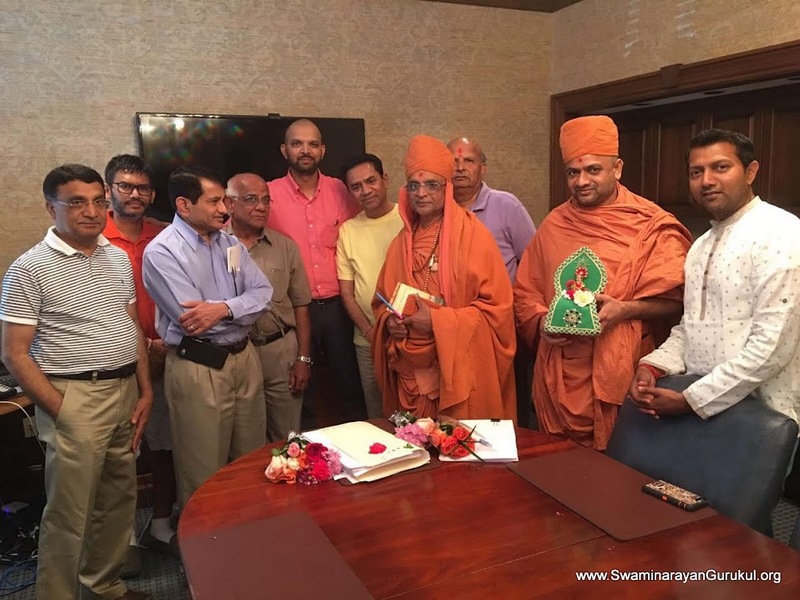 With the inspiration of Sadguruvarya Shastri Shree Madhavpriyadasji Swami, auspicious events of Holi and Dhuleti were celebrated by devotees in devotional fervor at Shree Sanatan Mandir, Savannah US. On the day of Holi, March 12, 2017 Shastri Bhaktivedant Swami narrated the inspiring Katha of Prahladji and Bhagwan Nrusinhji to explain the importance of firm shelter-hood (Shranagati) of Bhagwan. Pujya Swamiji also blessed all devotees by telephonic talk and explained the spiritual and scientific importance of Holi-dahan and Rangotsav.